Our app has all the features that you’d expect to make the booking process a breeze. You’ll notice that it gives you a feeling of control as all information is transparent, putting you in charge. You are able to manage your bookings easily and view your past and pending rides conveniently. The rates you are quoted are what you are charged. There are no hidden fees, no extras or additional charges. 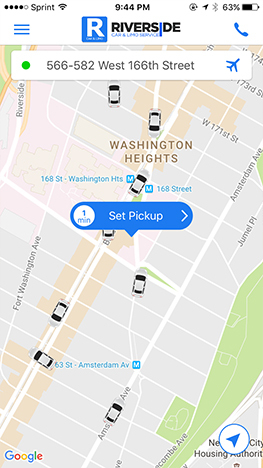 Just a few taps on your phone and be ready for your vehicle to arrive. Easy account set up, setting up and managing your account is a breeze. View your past rides and pending reservations. 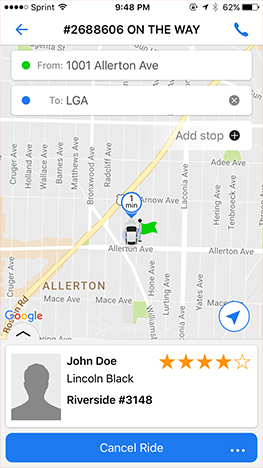 Be picked up at your current location, as the app uses GPS technology to locate you. Easy location search, the results are displayed as you start to type. Making a booking has never been easier. 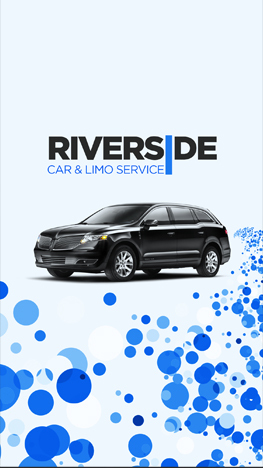 Booking a ride is now at your fingertips with Riverside Car & Limo Service smartphone app. Our easy to use app makes booking and managing your reservations more convenient than ever. Download the free app from Google Play or the iTunes Store and enjoy our well designed, feature packed user friendly app. The Riverside Car & Limo Service App enables you to make an instant, real time booking easier than ever before. With your next luxurious ride at your fingertips, backed with our 24 hours a day, 365 days a year customer care, you can count on an unforgettable experience.